March Madness is back, with 68 teams vying to become the 2019 national champions. On Selection Sunday, college basketball die-hards and casual fans alike are building their brackets with hopes of surviving the first weekend without going bust. We crunched the numbers to put together some tips on how to best fill out your bracket this year. If you need a bracket, click here. In the meantime, for the next three weeks, college basketball fans all across the country will be filling out their brackets and hoping they don’t go bust. It’s one of the most enthralling traditions in sport. While there’s no wrong way to fill out your bracket, there are some trends that seem to happen year after year and surprise us all the same. I’ve gone through the past 26 years of bracket data with a fine-toothed comb to answer these questions and more to help bring you a few tips while filling out your bracket. Take a look at our bracket tips below. No. 12 vs. No. 5 upsets are a always discussed, but don’t go too crazy with them. The No. 12 vs. No 5 upset is always discussed at length in the build up to the first weekend of March Madness, and rightfully so – in 12 of the past 26 years, at least two No. 12 teams had an upset in the first round. Additionally, the No. 12 vs. No. 5 upset is a fairly safe one to make, as in most cases, the eventual winner will be set to lose to the top seed in the region in the Sweet 16. In the past 104 No. 12 vs. No. 5 matchups, the lower seed has prevailed 38 times. Projecting that number out into this year, you’re probably safe to pick one or two upsets in this matchup if you think you found the right team. One helpful hint – sometimes the 12-seed won’t even be the underdog. Check Las Vegas odds on these matchups and you might find the lower seed favoured, usually a pretty good signal of upset potential. There is almost always a top-seeded team that goes down in the first round. While the 12-5 upsets usually get the most press, in 23 of the past 26 years a team seeded 2-4 has also fallen in the first round to their lower seeded counterpart. In 14 of the past 26 years, it has happened at least twice. Last year, we even saw the first ever No. 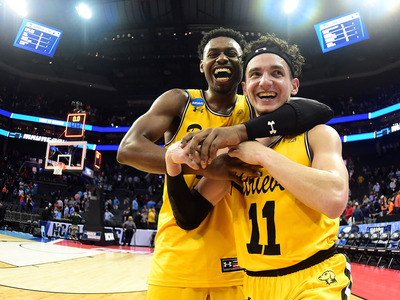 1 seed lose in the first round, with UMBC upsetting Virginia and busting brackets across the country. The most difficult aspect of picking these dramatic upsets is finding the right team – with 12 teams seeded 13-15, you really have to hit the bullseye in order to nail the Cinderella team. That said, if you can call the next Florida Gulf Coast trip to the Final Four, you get bragging rights in your league for life – a fair trade-off of risk and reward in my humble opinion. You’ll find the right team with a combination of feel and luck – look for the champion of a smaller conference that has uniforms you like and are going against a team you hate in the first round. It’s fun to root for! If you want to play these safe, that’s understandable, and might the be more logical move in terms of coming out on top of your league. But don’t be shocked to see your favourite No. 3 team toppled in the first round. Don’t be too shy about putting a double-digit team through to the Sweet 16. Another tip toward filling out your bracket that might make you pull back a bit at first – don’t be afraid to put a double-digit seed through to the Sweet 16. Just twice in the past 26 years have all the teams that advanced to the second weekend of the tournament been seeded ninth or higher. In fact, in that time, the tournament has averaged a little over two teams seeded No. 10 or lower making it past the first two rounds. Last year, No. 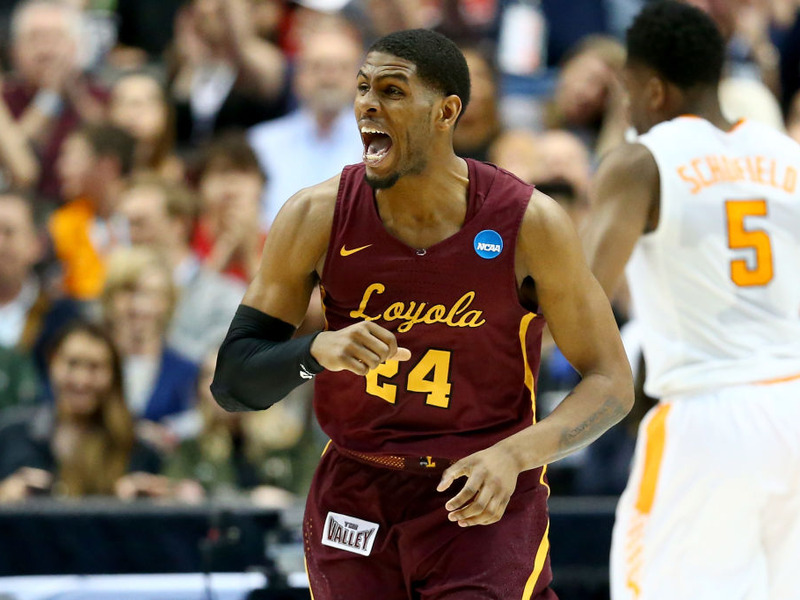 11 Loyola-Chicago took their impressive run all the way to the Final Four. If there is a spicy team seeded 10th or 11th that you have been watching this year, have faith in them, especially if they have players and coaches with tournament experience, or are sporting a young crop of players that are growing into their own. Perfect regions are extremely rare. Somewhat related to the fact that there is usually at least two spoilers playing in the Sweet 16, it is also extremely rare for a region to advance the top four seeds without a misstep. The top four seeds in a given region have all made it to the second weekend just 10 times in the past 26 years. If you’re a casual bracket fan that likes to play it safe, keep this in mind when working your way to the middle rounds – you don’t have to pick any wild upsets, but it might be prudent to slip a No. 6 past a No. 3 team just to keep a little chaos alive in your bracket. In March Madness, chaos is currency. Not every No. 1 makes the Final Four. Here is another tip for the more cautious of bracket builders – don’t pick all the 1-seeds to make it to the Final Four. Just once in tournament history have all four top seeds made it out of their region. Instead, find a balance. In the past 26 years, 43 1-seeds have made it to the final weekend of the tournament – by far the most of any seed, but still only one or two in most years. A healthy way to reach a plausible Final Four without sticking strictly with favourites is to work off of averages. Over the past 25 years, the average sum of the Final Four seeds has hovered around 11. That can translate to two top seeds, a No. 3 and a No. 6, or any other number of combinations. Obviously you can pick a lower sum total to work towards if you want to play a bit more conservatively with your bracket, but the numbers don’t lie. If your Final Four teams add up to seven or less, you probably have room to get a little riskier. When picking a national champion, it’s usually best to stick with the top teams. While it’s good to add a bit of variance to your Final Four, when it comes to picking a champion, it’s probably best for your bracket to pick your favourite of the top four teams in the field. Of the past 26 national champions, 18 have come into the tournament as a 1-seed. If you feel like there is a lower seed absolutely calling to you, make sure it’s one that has at least had some success. Of the eight teams that weren’t top seeds and went on to win the tournament, six of them had won either their conference title or conference tournament on their way to March Madness. There is no wrong way to fill out your bracket – every pick is a personal journey that’s yours and yours alone. But with the right information on hand and a little bit of luck, you can hopefully find yourself the winner of bragging rights and a little bit of cash by the end of the month. Now check out the highest paid coaches in college basketball.